Leica, the German Camera brand launched their new partner store in New Delhi, and days after Amazon has unveiled their exclusive partnership with them to start selling high range cameras of the brand online. The three cameras which are available on Amazon exclusively for sale are the Leica Sofort, Leica D-Lux and the Leica V-Lux. The range of the cameras starts from Rs 25,000 to Rs 90,000. Besides the cameras, Amazon has also listed other Leica accessories like Leica binoculars. All Leica products have initially been listed with the option of No Cost EMI and are also Amazon Prime eligible which makes the next-day delivery possible for the entire range of Leica products. 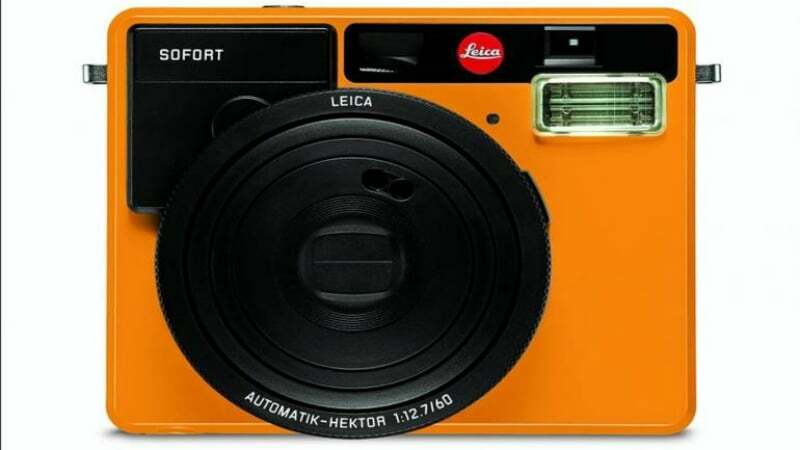 The entry-level camera which Leica has come up with is called the Leica Sofort and is priced at Rs 25,000. The Leica Sofort was launched in September last year. The Sofort which comes in three attractive colours of Mint, White and Orange comes with a fixed 60mm (34mm equivalent) lens sporting a maximum aperture of f/12.7 and is also paired with an integrated flash module. The flashy camera comes with eight preloaded modes, including Macro, Automatic, Selfie, Self-timer, Party and People, Sport and Action, and Double Exposure. Speaking of dimensions, the Sofort measures to be 124x58x137mm and is powered by a Lithium-ion battery. The next instalment in the series of Leica cameras is the Leica D-Lux which has been listed on Amazon at Rs 85,000. Boasting of impressive features, the Leica D-Lux has a 4/3-inch image sensor with 12.8MP resolution. The camera also doesn’t miss out on the 4K video recording and has a Leica DC Vario-Summilux lens. About the display, the camera comes with a screen of 920-k dot resolution and also has Wi-Fi and NFC as connectivity options. The highest on the range of Leica camera sits the Leica V-Lux which has been listed at the price of Rs 90,000 on Amazon. The camera seeks to compete with the likes of other Pro cameras with high-end specifications. The camera comes with a DC Vario-Elmarit f/2.8 – 4.0/ 9.1 -146mm ASPH (35mm equivalent: 25-400mm) lens that enables users to have a zoom range of 25 and 400mm and also comes with a large, 10inch sensor. There is a 3-inch LCD monitor as well as a 2.4MP OLED electronic viewfinder. Like the previous model, the Leica D-Lux also comes with NFC and Wi-Fi support for connectivity and also has support for 4K video recording.